Come eat some food @alewiferva, booze this weekend ????? Stopped by yesterday evening… it was awesome! Highly recommend the chicken ? Are they open for lunch? Hours of operation would be good to know if someone would please post, thanks. Found this! Has hours and a menu! From the looks of the crowd tonight, y’all need to add some benches outside for overflow! Congratulations!! I wish they had more reasonable prices. $13 for a glass of wine is a wee excessive. Food choices are pretty limited and the wine list is uninspired. Not a place I’m excited to try. Just my personal taste, so please don’t bash me for expressing an opinion! Yay, another restaurant I can’t afford. Sigh. @Bill…that was my thought too. The menu is really limited and there was nothing on there that I am remotely interested in. I wish them luck cause I think they’re gonna need it without a course correction. This isn’t the area that will sustain a menu like this. 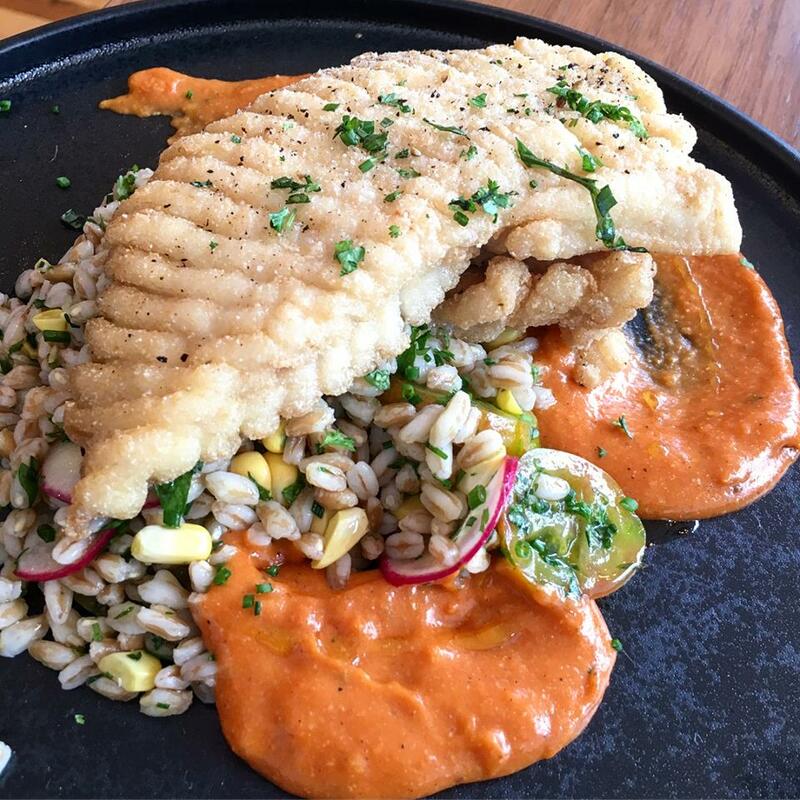 Quality, simply-prepared, expertly-cooked fish as the center of menu is exactly something the Richmond restaurant market has needed since that Mediterranean style fish place in Carytown, whose name I already forget, closed years ago. I had the best prepared piece of fish in Alewife that I’ve had in this area in years. I like the short menu. Thank God for a seafood place that isn’t a bunch a flash frozen fish. Seafood is hard. Alewife gets it without being a silly incongruous dockside place with nets on the wall… or white tablecloths. Neither of those types of places would fit in our neighborhood. Welcome, Alewife! Keep at it and don’t change thing! Looks like they took the menus off the website. Maybe there is a retooling.